Adoption of DevOps and Agile has been one of the biggest trends to be seen in 2017 in the testing domain. A rising trend in the domain of automation testing is leading to more systems being developed in every minute. With the development of information technology, the testing domain is also changing. Gone are the days when the testing phase of a software is satisfied by just manual testing. 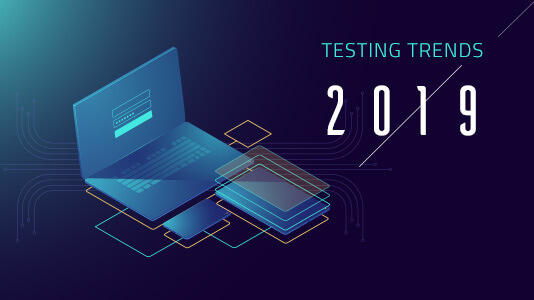 With the IT industry already witnessing DevOps there are few skills that are needed to be adopted by a tester in 2019 to remain competitive. A horde of futuristic developments is brought in the IT industry by Artificial Intelligence. The center stage is already dominated by natural language processing, neural systems, and machine learning. The best thing about artificial intelligence is the capacity of a system in developing more systems. Machine learning can be used in the banking domain to model real-time transactions and. Machine learning along with AI can also predict fraudulent transactions. Organizations that are ready to dive into the digital domain are going to experiment with high impact scenarios developed by machine learning in the following years. A tester must be ready to understand the evolving trends in the testing domain and in order to stay competitive, will need to develop test case scenarios that can validate all the possible outcomes. The basic ideology of DevOps is based on collaboration between QA professionals, developers and other departments of an organization. A critical part of the business is handled by the testing team, since developers are not only involved in creating an application, but also quality analysis, fixing defects and maintenance of the product. A greater speed of quality assurance and code deployment is propelled by DevOps which will finally lead to high returns on investment and a faster way to deal with the product in a cost-efficient manner. Performance testing is already dominating the testing domain and in the following years, it will remain the key behind running a successful application. Keeping user experience as the primary focus, the evolution of performance testing is happening in the industry and it is turning into performance engineering. The use of cloud-based testing tools is going to be prevalent in the coming year. 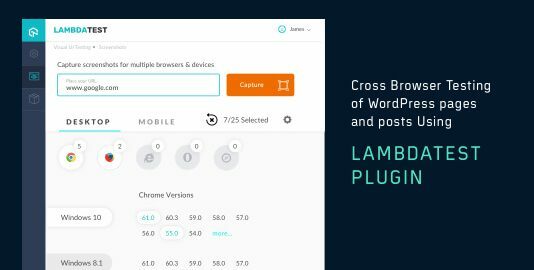 From cross-browser testing to performance testing, testers and developers are going to take the help of cloud-based tools to fulfill their testing needs. Digital transformation is the current trend happening since last year. Most organizations are focused on digital adaptation in order to stay ahead in the race. Digital testing, thereby is becoming more extrusive and is going to be the key to the success of digital projects for a long time. For better optimization of functional testing, testers will be required to figure out robust strategies in the field of digital assurance. A new dimension is added to contemporary software testing protocols by Internet of Things. Not just software testing is enough for quality assurance of an IoT device. In the following years, a tester should be knowledgeable about testing sensors, hardware, and user interfaces along with network interface. A tester should possess the following testing skills before deep diving into IoT testing. Compatibility testing with all the probable blends of device and protocol versions, version of operating system and mobile devices. Security testing involving availability, authentication, and authorization. 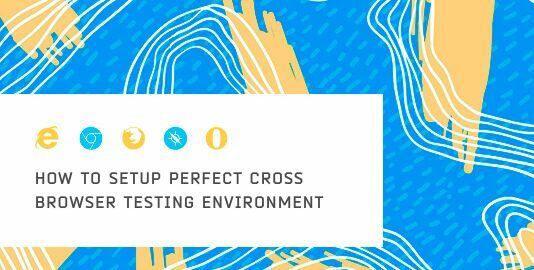 Exploratory testing from the perspective of an end user without any predefined test case scenarios. Compliance testing to observe whether the device abides by all regulatory policies. Performance engineering the observe how fast the device responds after user interaction. With the increasing use of IoT gadgets and wearable devices, in the interconnected digital world, a huge amount of data is accessed and shared daily through multiple channels. A single breach during any sharing poses a threat to data privacy and can damage the reputation of an organization or a developer. 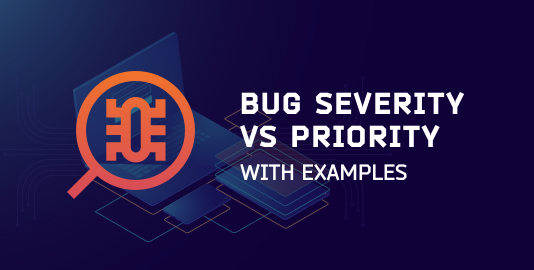 In the past few years, incidents involving data breaching is making the organizations aware and they are compelled to make security testing one of the core parts of strategic quality assurance in the upcoming years. Big Data already dominated the market in 2017 and is growing more. Within the next few years, it is predicted to grow by almost 400% of its current state. The cost of data storage getting low daily, Big Data will ultimately become a common affair for every organization. At present, testers are mainly concerned about testing maintenance, management and data storage of Big Data. However, in the future it will gain much momentum, focusing more towards the validation of mobile report, dashboard, report object, and visualization. With the wide use of smartphones, people are depending more on mobile devices for the transaction. Digital wallet is used more than physical currency. And it is going to increase a lot in the following years. A classic example that led to a sudden growth of mobile payment was on November 2016 when demonization of two major currency notes was announced by the government. With the sudden lack of physical currency, people became more dependent on mobile transactions and companies like Paytm, PayZapp, Freecharge gained success overnight. With an increase in mobile payment, security and maintenance of the system are also going to evolve. A tester should be well aware of understanding the threat models, concept of cryptographic keys and proper ways to test their security and above all, how to identify and eliminate human error to prevent mishandling of secure data. 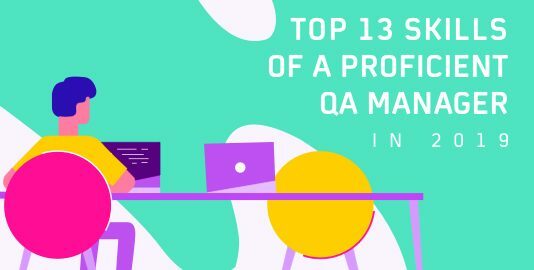 The quality and skills of a QA and tester must evolve with technological advancements. It is quite a challenge to address the growing risks and advancements in the technical domain. But we can expect to witness the challenges being knocked down by the testing industry through research and innovation in 2019 and beyond.